With the Minimum Passing Distance being made permanent, Bicycle NSW has taken a proactive approach to educating and pushing for enforcement. You can read more about the MPD here. 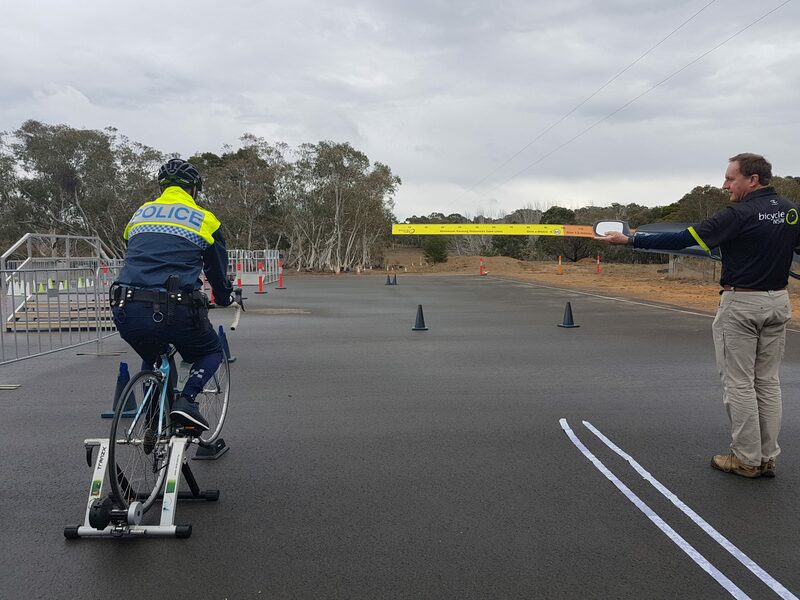 Recently, we visited the NSW Police Force Bike Training Course in Goulburn. Nineteen recruits were being put through their paces in order to become certified. Part of this training incorporates certain aspects of bicycle and equipment maintenance, rules and regulations, and strategic considerations. 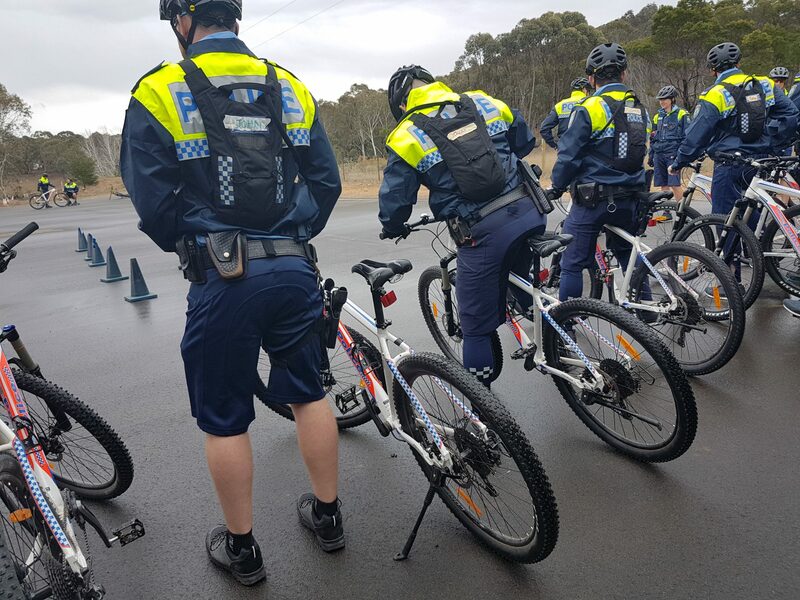 The NSW Police fleet of mountain bikes are state of the art and designed by experienced Bicycle Squad officers specifically for policing duties.” - NSW Police. Bike Police are used in high density urban areas like festivals but also in heavy bush where cars can’t get in and helicopters can’t see. Some days, they can spend up to 10 hours in the saddle. On the day Bicycle NSW was there, the recruits were learning how to tackle obstacles, increasing their overall bike skills and fitness, plus how to maintain their bikes. In particular, they were put under a ‘stress test’. 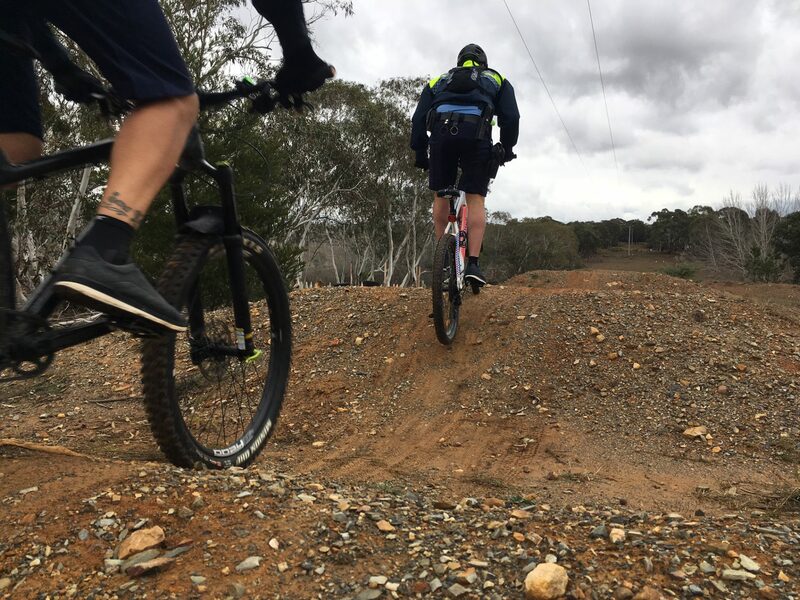 Each recruit followed by an instructor, rode around a timed 800m course that included a pumptrack, and a range of XC type features such as slippery mud turns, gravel pits, jumps, hills, sharp inclines and declines. Instructors pushed the recruits as hard as they could in order to simulate a real world experience for them. It was great to see more Police officers being trained on bikes. As always, Bicycle NSW wants to see more people enjoying life on two wheels. 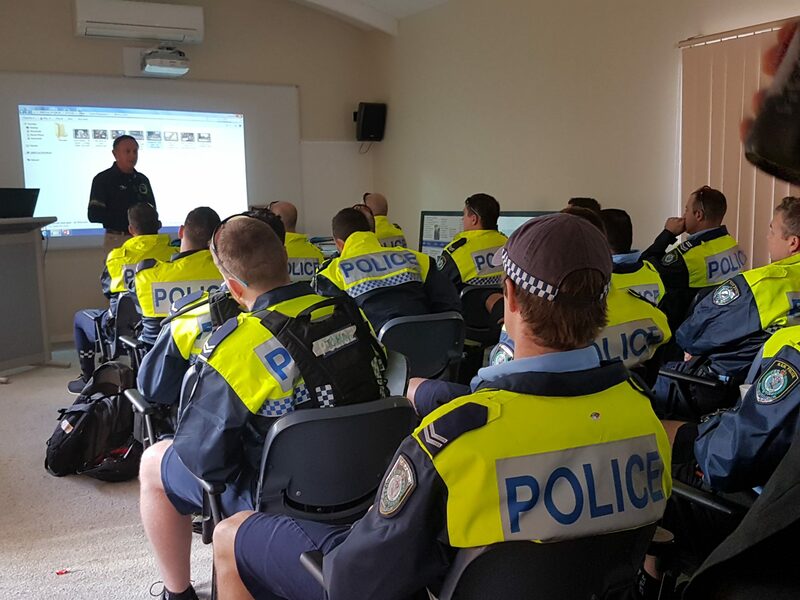 While there, Bicycle NSW had the opportunity of helping the recruits brush up on some bicycle related Rules. We ran them through our Minimum Passing Distance simulator. A recruit pedalled on the bike with another being the “driver” about to overtake. Reminding them of the different distances at different speed limits, and also that they could cross double lines when safe to do so. We also ran through some common bicycle myths with all the Officers there. As a bottom up approach to educating on the Minimum Passing Distance, Bicycle NSW would deem this a success. We are still working with the top levels of the NSW Police and NSW Government in order to get this Rule better enforced and for more people to know about it.